Good evening, My Lovelies! We've been in New Orleans for our nephew's wedding. We had a fantastic time, but it's good to be home! I'm so upset that I forgot to pack my camera. Boo! We also recently celebrated Shelley's birthday, and I'll post about her party tomorrow. Although we haven't been home, that hasn't stopped a crew from working on our new backyard. We're getting rid of the 45-degree angle, moss, and ugly juniper to create a very pretty (I hope) patio and outdoor fireplace area. If you follow me on Pinterest, you might have seen a couple of new boards I started to help with the process. 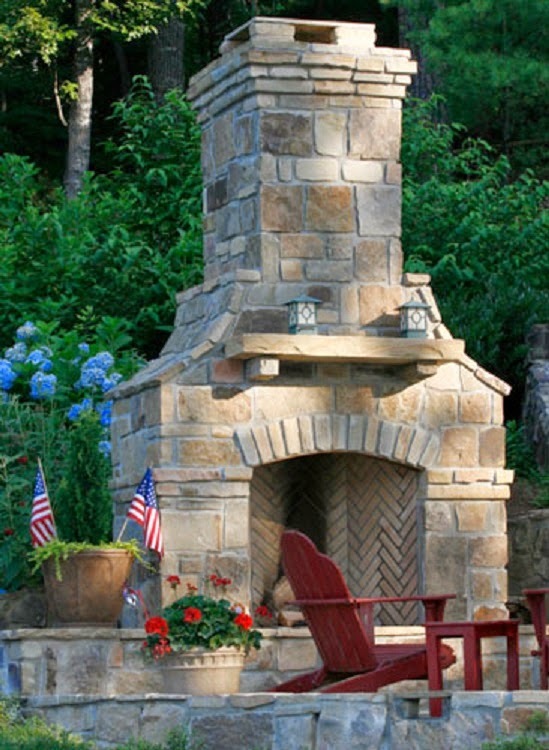 Ours will have the bluestone floor, but we're going with a brick fireplace to match our house, and no pergola. Can you tell what this is??? 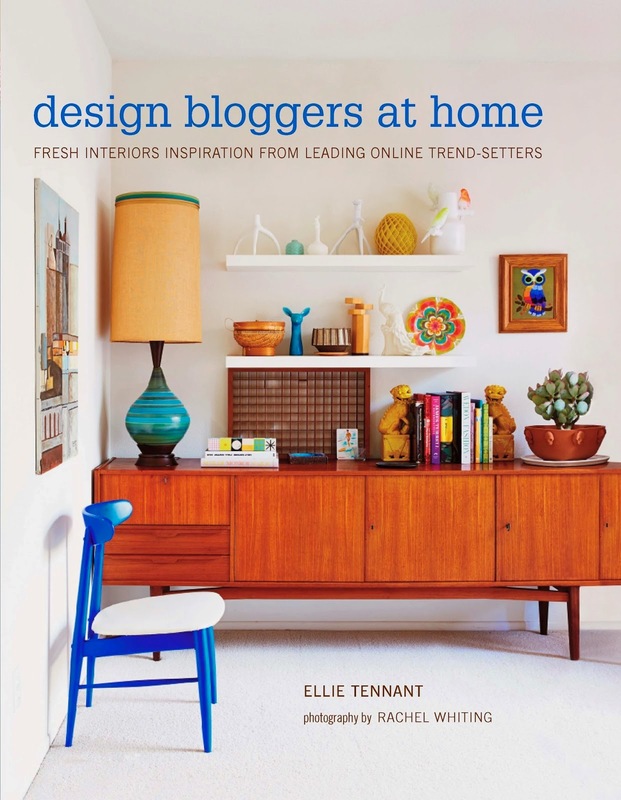 I found a wonderful book about design bloggers. I've enjoyed looking at fantastic photos of quirky spaces and reading about these bloggers and their creative process. I will post about the powder room Saturday, and Design Bloggers at Home early next week. Your life is FULL! The outdoor space sounds exciting, RJ. I love your inspiration images. Wow! I can't wait to see both of those projects! Your new patio is going to be outstanding! And you have that great weather to enjoy it every season! I can't wait to hear about the book and Happy Birthday to Shelley! Sorry I've been so long in visiting...summer!! Happy Birthday to Shelley. Cannot wait to see your new backyard. Happy Birthday to your lovely daughter! How's that wee pup. Growing I bet and full of mischief. That cake looks yummy!! Can't wait to see your finished yard. Must go to your pinterest page. Your backyard plans are awesome! It's always good to get back home isn't it!! How exciting. Can't wait to see your patio. Happy Birthday to Shelley. The cake look scrumptious. 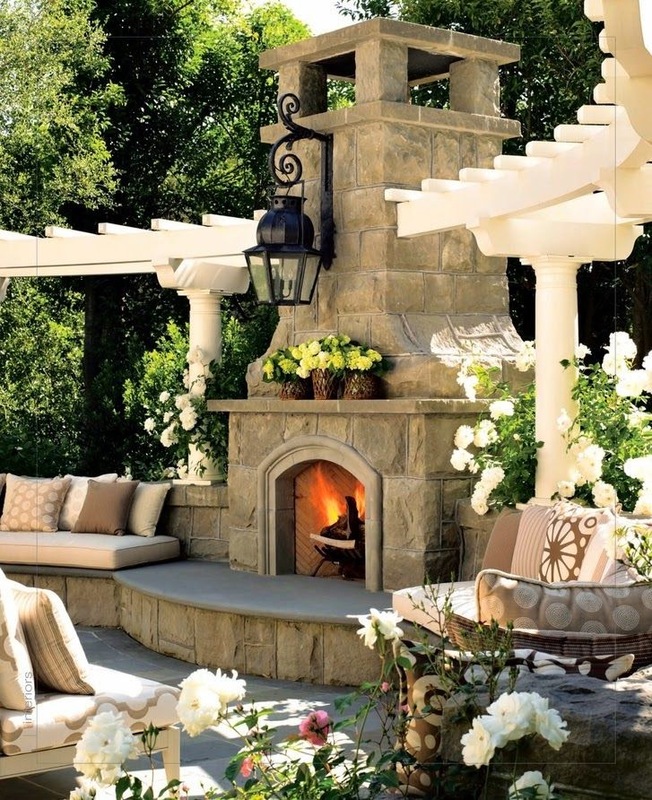 How wonderful to be getting an outdoor fireplace. The examples you've shared are fabulous. I can hardly wait to see the finished yard. I can't figure out what the photo is for the powder room so I'll be looking forward to more information on that as well. I like the concept of a pergola, for hanging potted flowers, but I can see where they'd be a LOT of work to keep clean. Either way, you're going to have a perfect place for outdoor dining and entertaining! That powder room photo....it looks like the basket for a hot air balloon to me, for some reason. OOOH I'd love to see who's in that book! Your outdoor space sounds magical. Can't wait to see it all finished. Glad you are having a good and busy summer! I’m sure the wedding was fun and probably so hot in NO! Love Shelley’s cake, so pretty. Love your ideas for your outdoor space, can’t wait to see it finished. And, especially the powder room. I”m working on a before and after of our Veranda. It’s been awhile and and I have to find the photos. Wow, summer sure is zooming by and fall is just around the corner, you know what that means. Mad Tea Party 2014 *plus* A Giveaway!